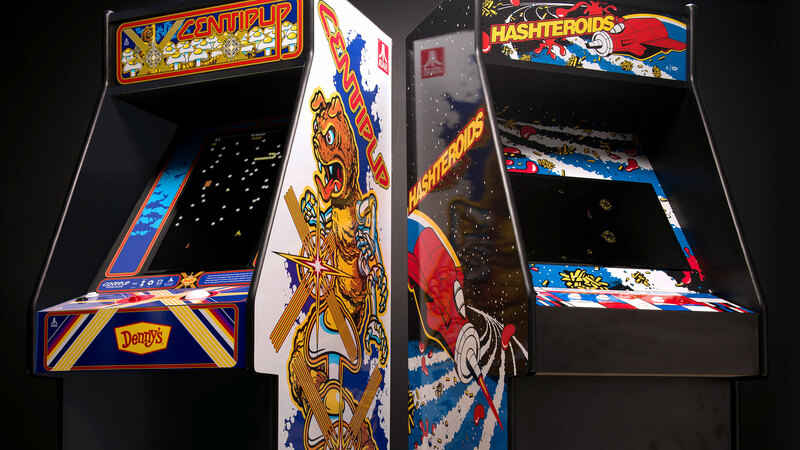 To create even more excitement and payoff for playing, Denny’s and Atari created a competition – the Arcade Battle Royale. 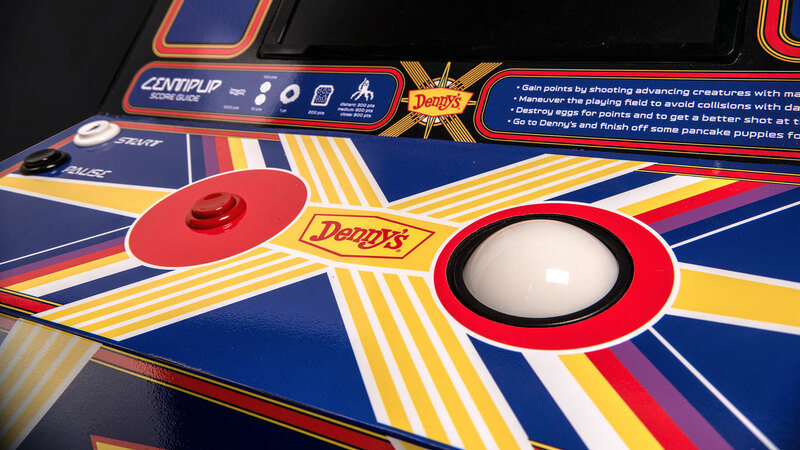 It was a head-to-head competition of the highest scoring players ranked in the Denny’s app. 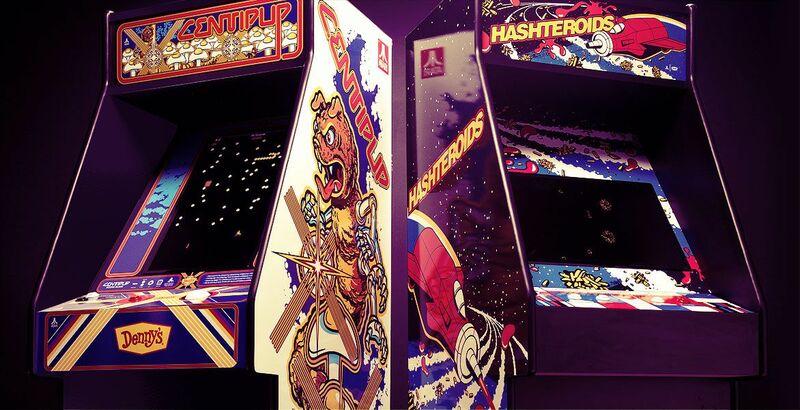 Fans across the country had a chance to win a trip to Vegas to compete and even take home one of these two custom arcade cabinets, and it was all live-streamed on Twitch. 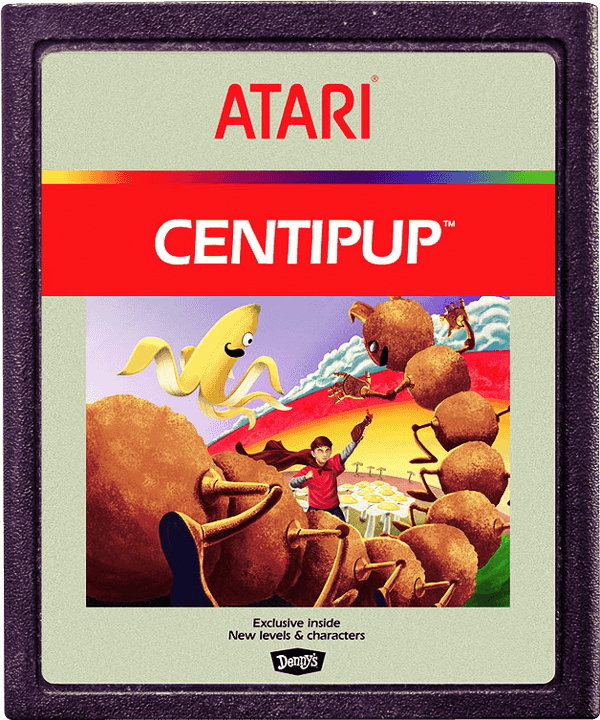 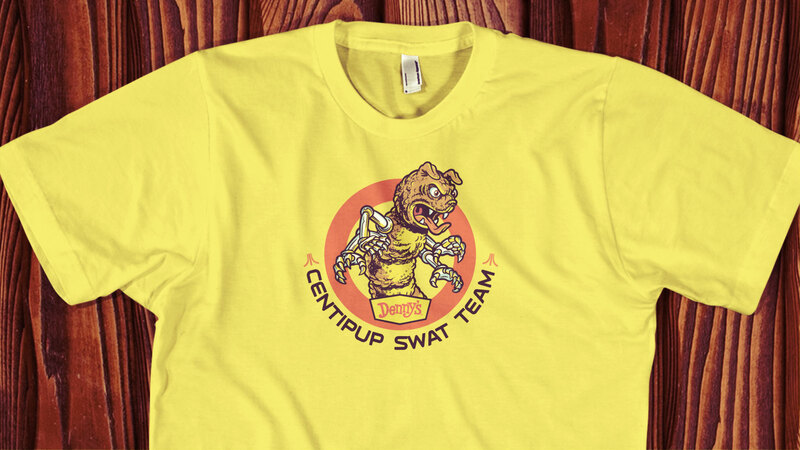 The Centipup cabinet art I created is a direct tribute to the original Centipede cabinet art from 1980 with obvious alterations. 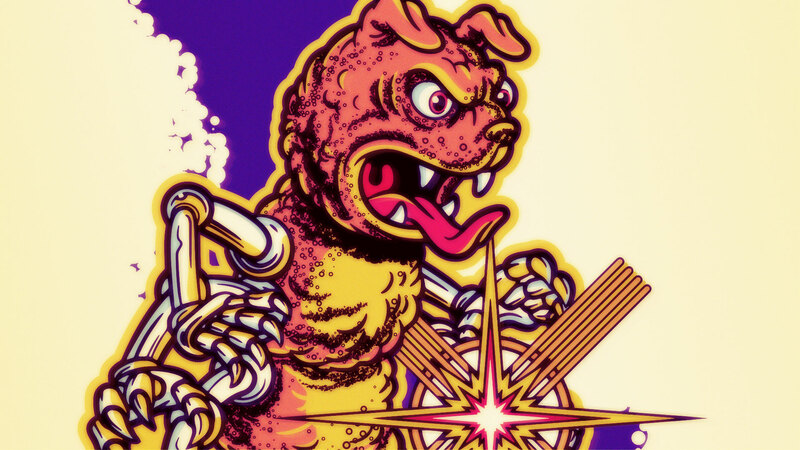 The centipede is now a monstrous pancake puppy crawling through fields of fried egg mushrooms.